WASHINGTON (Reuters) - The cost of Lockheed Martin Corp's stealthy F-35 jet could fall 16 percent to around $80 million in future purchases, according to the Department of Defense's head of the program. In February, the Pentagon agreed to a deal for the tenth batch of the fighter aircraft at below $95 million per jet for the first time, compared with $102 million in the previous purchase and the lowest price ever. Lieutenant General Chris Bogdan, who runs the F-35 program for the Pentagon, gave his new estimate for the future cost of the jet while speaking to the U.S House of Representatives at a Capitol Hill hearing on Thursday. President Donald Trump and other U.S. officials have criticized the Pentagon's most expensive program for delays and cost overruns, but the price per jet has steadily declined in recent years as production ramps up. Bogdan said in his testimony to Congress that he has spoken to Trump several times about the cost of the stealth aircraft. 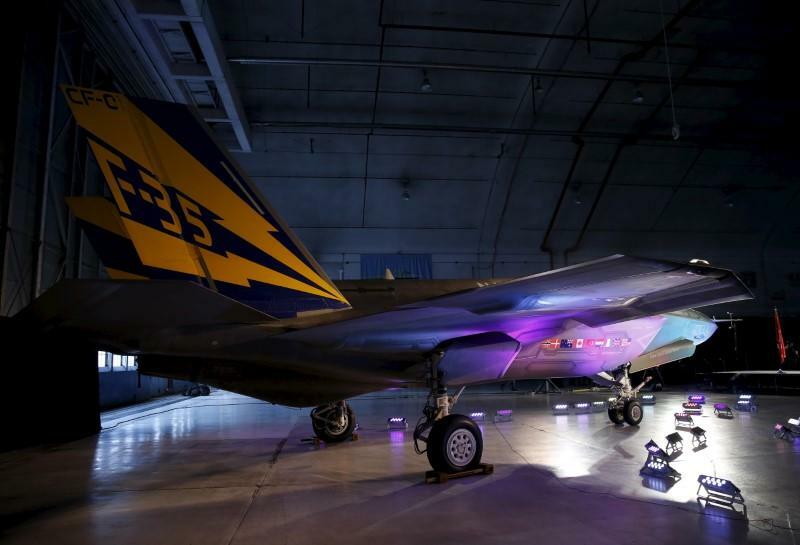 Lockheed and its main partners have been developing and building F-35s for the U.S. military and 10 allies. The F-35 comes in three configurations, the A-model for the U.S. Air Force and U.S. allies; the B-model, which can handle short take-offs and vertical landings for the Marine Corps and the British navy; and the carrier-variant F-35C jets. Lockheed, the prime contractor, and its partners, including Northrop Grumman Corp, United Technologies Corp's Pratt & Whitney and BAE Systems Plc, have been working on building a more cost-effective supply chain to fuel the production line in Fort Worth, Texas. The U.S. Defense Department expects to spend $391 billion over many years to develop and buy 2,443 of the supersonic warplanes.